Here at Hunker, we love holidays, and Halloween is high on our list. 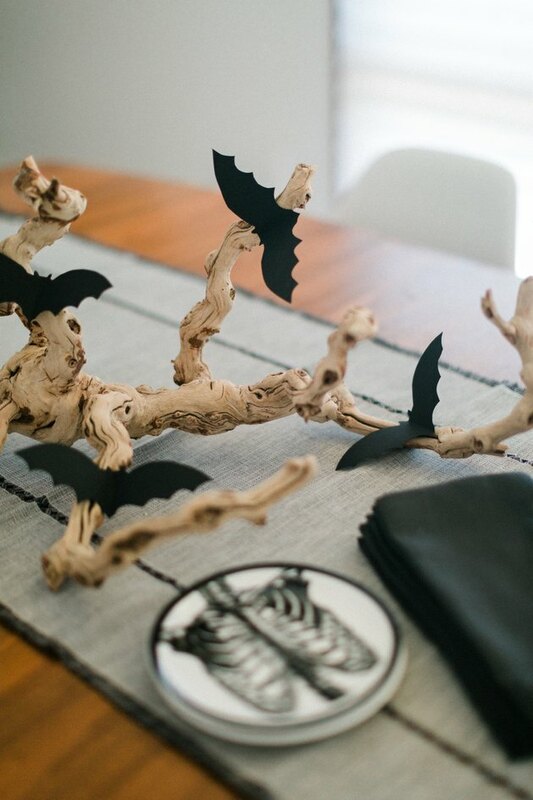 But we admit it: Halloween decorations tend to err on the side of tacky. And while we all have a candy- and costume-loving kid in all of us, when it comes to our homes, we're all about spooky chic decor, like this copper candelabra or eye-catching floral arrangement. So, we challenged ourselves to come up with a spirited centerpiece that suits All Hallows' Eve, but is a bit sophisticated, too. 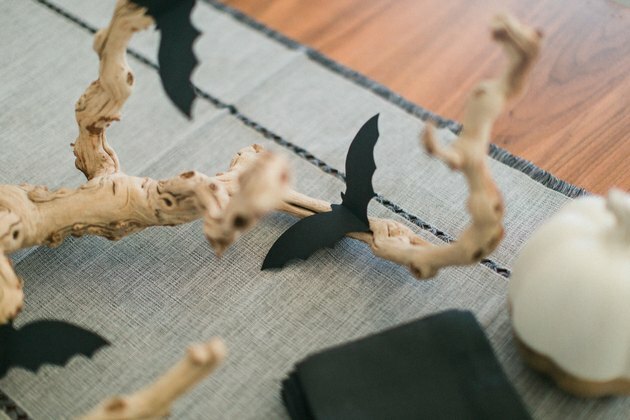 Did we succeed with our DIY bat branch centerpiece? We'll let you ghouls be the judges. 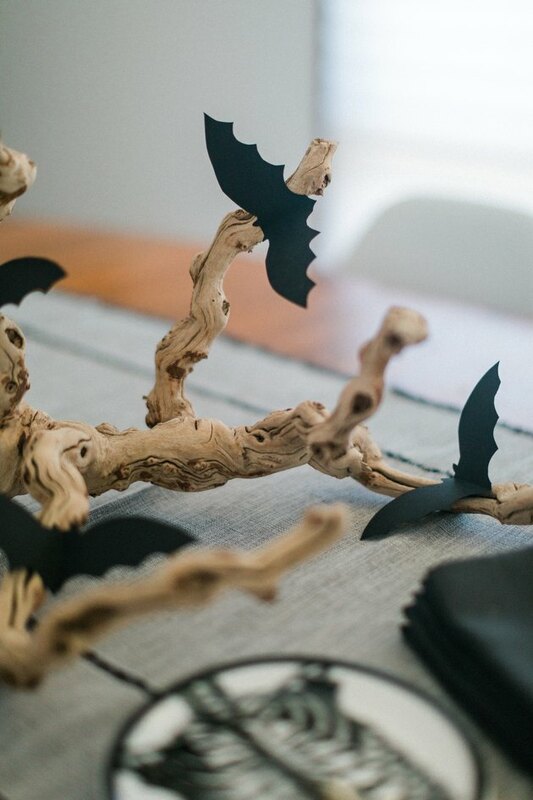 Details and a free printable bat template below. 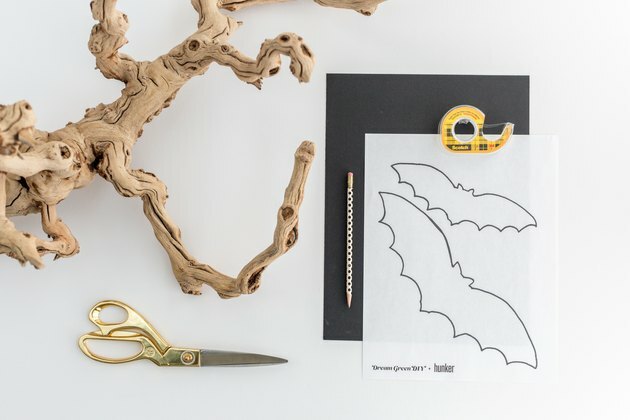 Download our free printable bat template, and print it onto cardstock. 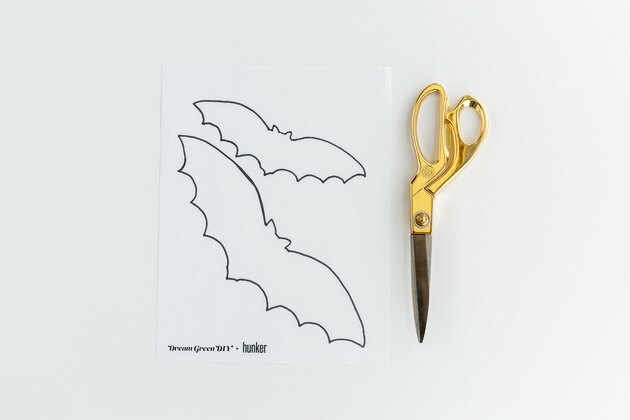 Cut whichever shape out that you'd like to use — we created a small and large bat for you to choose from. For this demonstration, the small bat was used. 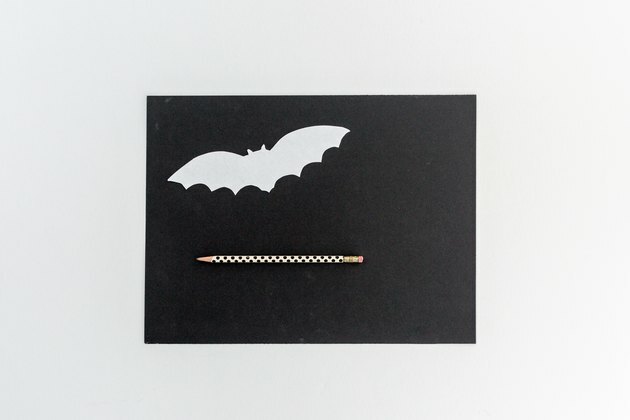 Use a pencil to trace the cut bat template onto black construction paper. Repeat for however many bats you'll need, depending on the size of your branch. 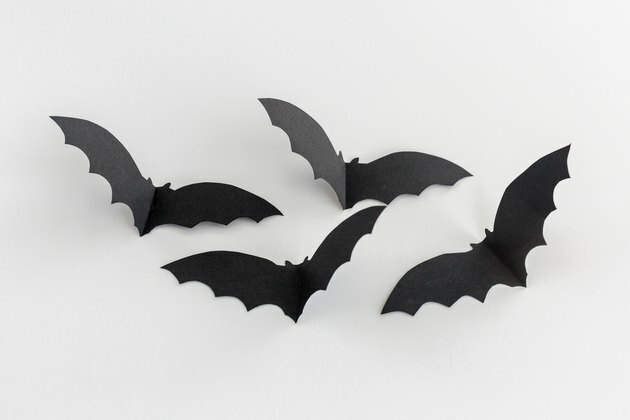 Cut the traced bats out of the black construction paper. Crease each one in the center to make them look like they're mid-flight. 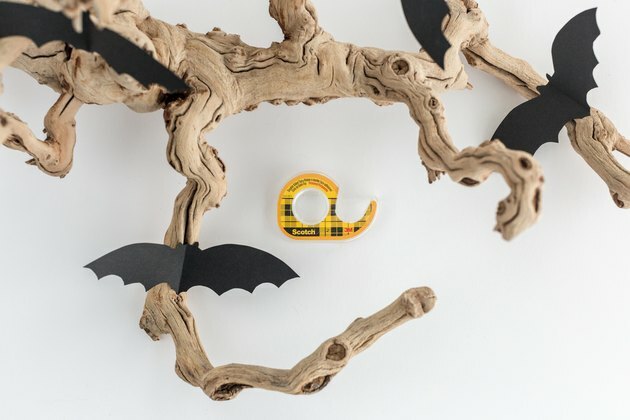 Use removable double-sided tape to attach the bats along the length of a found or store-bought branch. If you are okay with permanent attachment, use tacky glue instead of tape. 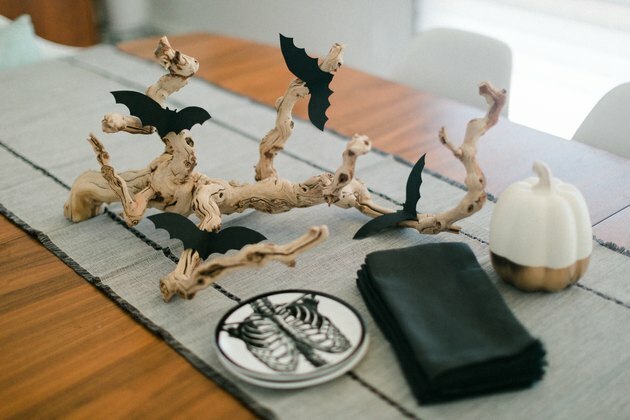 Style your finished bat branch centerpiece with other Halloween-themed accents (like these pumpkin-shaped planters) for the perfect spooky-yet-sophisticated focal point at your party.